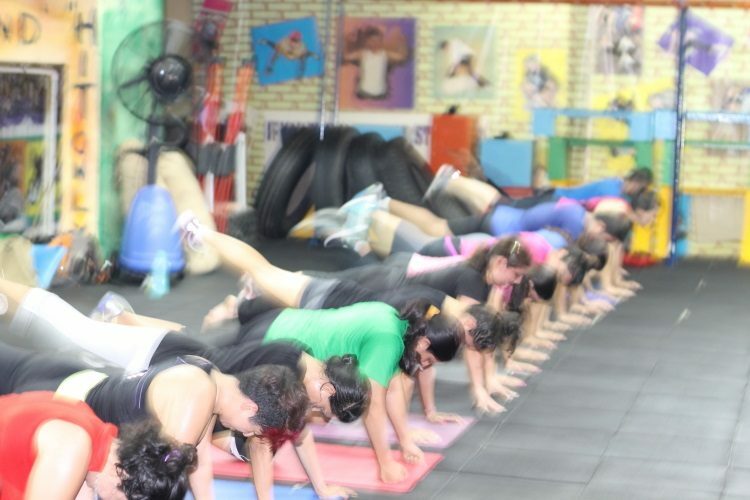 The term “boot camp” is currently used in the fitness industry to describe group fitness classes that promote fat loss, camaraderie, and team effort. They are designed to push people a little bit further than they would normally push themselves in the gym alone. Boot Camp training mostly begins with dynamic stretching and running, followed by different kinds of training, including lifting weights/objects, using Bands TRX straps, pushups /sit ups, plyometrics, and plenty of intensive workouts.